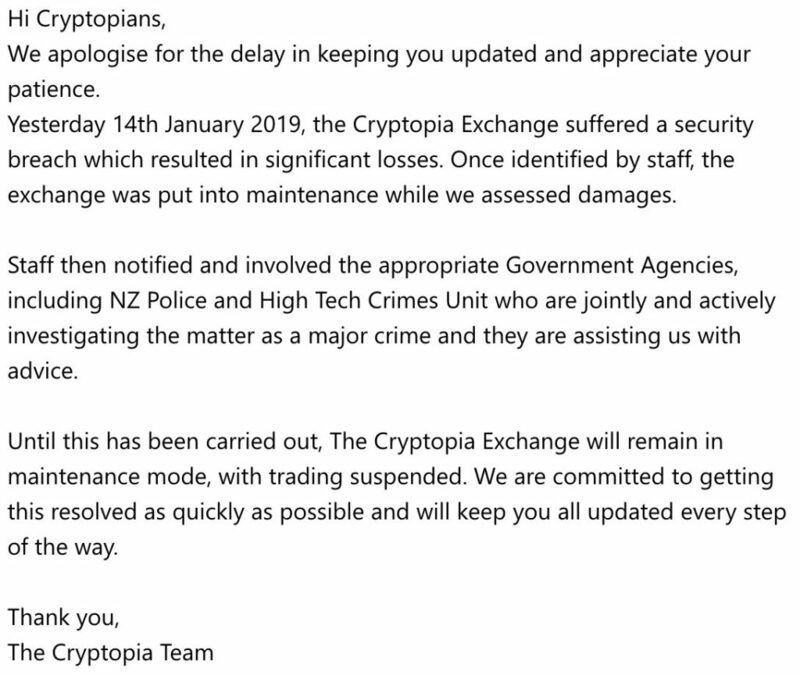 A New Zealand based crypto exchange website has been shut down by the operators citing a major hack. 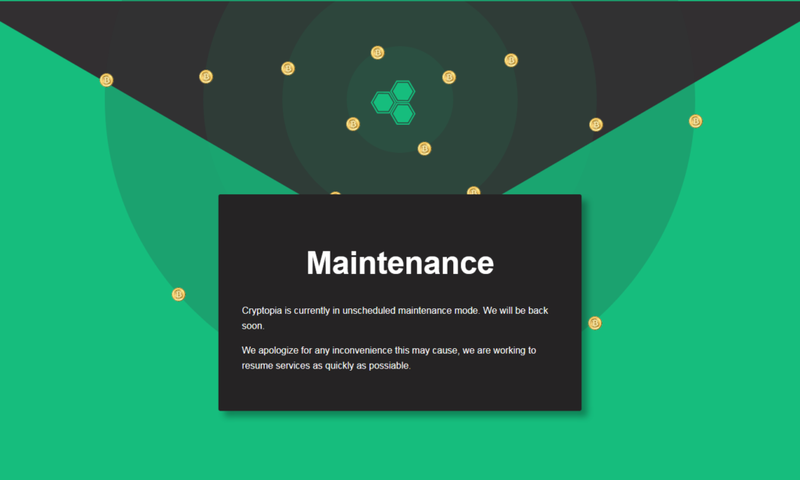 Cryptopia a New Zealand based crypto exchange which started operations in 2014 has been taken offline by the organisers after undergoing a security breach on January, 14. The exact details of the hack are still unknown and the company has since been sharing news about the hack via its Twitter handle. Customers have been facing difficulties to access their accounts on January 13 after which they are greeted to a message of maintenance that is being displayed on the screen. The company did not release any official report on the damages due to the hack. Meanwhile Whale Alert a popular Twitter handle which tracks all the major cryptocurrency transactions from and to exchanges said that, 19,391 ether (ETH) tokens worth nearly 2,438,152 USD and around 48 million centralities (CENNZ) tokens worth about 1,176,596 USD were transferred from Cryptopia to unknown wallets on Jan. 13. As stated above it is still unclear whether the transitions have been carried out the exchange or by hackers. This marks the first attack of 2019 on crypto exchanges. There hasn’t been significant effect on the crypto market due to the attack, all the top 100 cryptos are still in green which is a good sign. This attack is a rather small one when compared to those that have taken place in 2018. Generally this kind of news of a crypto exchange hack are accompanied by massive sell-off of cryptocurrencies but as of now the markets are stable, without expereincing any massive changes.